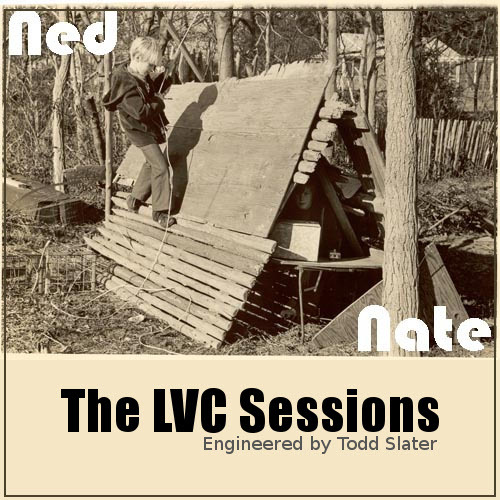 I had a couple songs written when Todd asked if Ned and I would come down to help him on a project in the studio at college. He needed to record somebody (not himself) and it was a nice excuse to see Todd again, and also work up a couple tunes with Ned. Ned had a fantastic piece he was calling Ned Berry's Reel which sounded like a traditional Irish reel, but was his own composition. We had also worked for a time on Jethro Tull's Boree' with me on bass and Ned on the fiddle which we thought would work. Then I had two songs I had written: Looking For Me, and Dirge For a Dude. Dirge couldn't easily be sung without tracking since the vocal line ran over itself at each chorus and verse and Looking for Me was just the most recent tune I had written (and had already found itself on a tape by the same name). This would be an "EP" of sorts with only four songs on it. I used a picture of Ned and I as kids that my mom took of us for the cover.